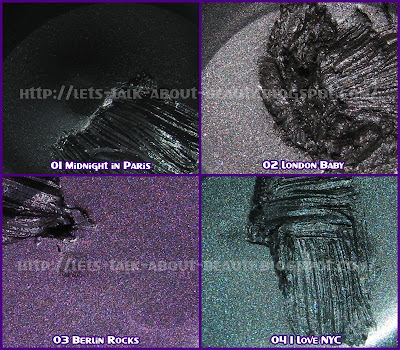 Depois de ter feito review do Gel Eyeliner 01 Midnight in Paris da Essence, hoje venho mostrar-vos swatches dos restantes (e incluí também o preto, para ficar mais completo). 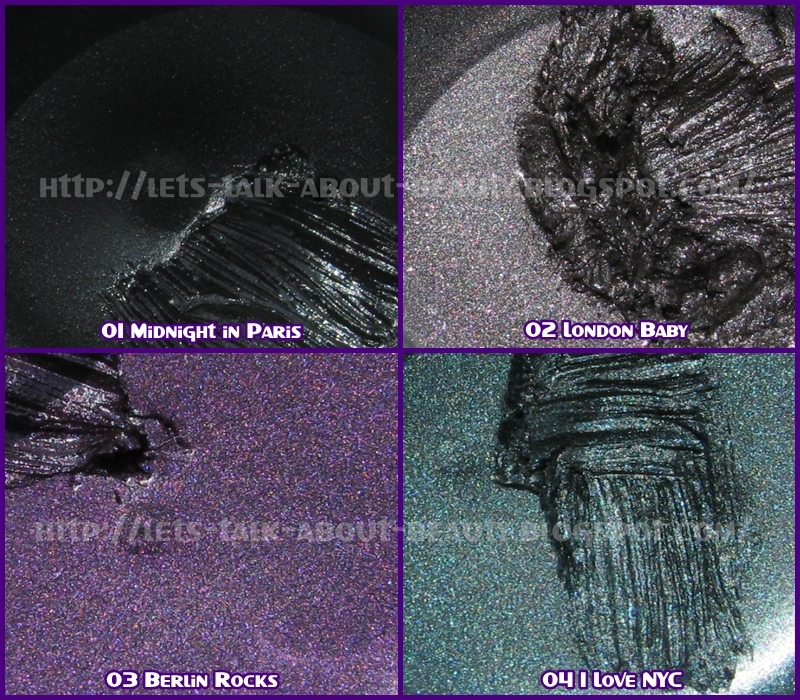 After reviewing the Gel Eyeliner 01 Midnight in Paris from Essence, today I'll show you the swatches of the other three (I included the black one too, so the post is more complete). Não sei se farei review dos restantes, pois penso que não há muito mais coisas a dizer. Uma coisa importante é: os gel eyeliners 02, 03 e 04 possuem brilhinhos. Isto faz com que durante o dia se possam espalhar alguns brilhinhos na zona dos olhos, mas não numa quantidade que eu ache relevante para alterar a minha opinião sobre os produtos. Gosto muito do facto de cada gel liner ter uma tampa com a cor respondente ao produto, bem como o autocolante do fundo da embalagem. I don't know if I'll review the other three gel liners, because I don't have a lot more to say. One important thing is: the gel eyeliners 02, 03 and 04 are shimmery. Because of that, a long the day you will get some tiny shimmers in your eye area. However, it isn't very dramatic and I don't think this changes my opinion about the products. I really like the fact that each color has a matching colored cap, as well as the sticker in the bottom of the jar. * 01 Midnight in Paris: preto mate. * 01 Midnight in Paris: matte black. Na minha opinião, o gel liner castanho devia ser mais claro. Quando colocado, praticamente não se nota a diferença para um eyeliner preto. In my opinion, the brown gel liner should be lighter. When applied, you barely notice the difference between this and a black eyeliner. I want them all. Unfortunately I have to wait, since my local store doesn't have the new products yet and don't know when they'll be available. Am really annoyed. 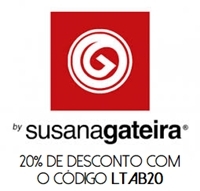 * Sofia: Envia-me um email com o teu pedido (: aninhax[@]gmail[.]com. 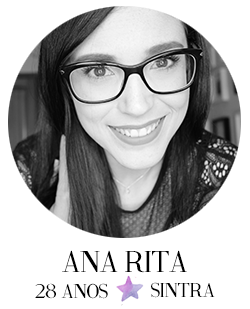 Great review, thanks Ana Rita.